"... at the end of the day you just have to listen to your guts ..."
Literary critic and writer, Cyril Connolly said, "Better to write for yourself and have no public, than to write for the public and have no self." Although I agree with his statement 100%, I often struggle with the concept. I don't want to write or paint strictly for the public but I want the public to care about what I write and paint. The issue is that while everyone's so different and interesting, there exists an average. It's statistics; I'm not knocking anyone. There is an average Joe, an average reader, an average art lover, etc. It often seems like to get to the top of the heap, creative folks must emerge as the best at pleasing the mighty average. Does that mean the creative gal who places in the average zone of the bell curve, just short of the spectacular tail, has the best possible chance of rising above the crowd, and therefore bouncing over to the highly successful group? Are you following? And is that the way it should be? Creative folks can determine what's hot and attempt to do that, or we can do something that gives hot a whole new meaning. I create what I want and need to because that's all I know how to do. I can only be myself; I'm not good enough to be all the other people too. Honestly, it gets lonely sometimes feeling that the things I'm pouring my time and heart into could ultimately be meaningless crap, or that it just may be too different for the average to embrace ... not commercial enough for some reason. On those days I tell myself "it's definitely not crap" because after all, I created it for myself and that's all that counts, right? If I truly did it all for myself wouldn't I simply file my finished manuscripts in a drawer instead of sending them to my agent? Maybe I'd display them in nice glass boxes that sit on pedestals in my formal living room. Wouldn't I lovingly hang my paintings around the house and forget about New York? Wouldn't I stop feeling like I want to hurl when I read the bestseller list each week, especially when a novel I just struggled to read (due to its ordinary, meaningless content) is at the top of the list? My guest today, artist and art consultant Sebastien Aurillon, brings up the the important notion of how we each define success. It's not always as simple at 'ole Cyril makes it sound. I've adjusted my definition of success over the last twenty years but a few visions have remained ... bordering on fantasy, of course. My novels are at the front of Borders and Barnes & Noble. There are sparkling New York Times book reviews, and my novels are absolutely on that bestseller list. My art hangs in galleries in New York, Paris, Basel, etc. People find it extremely interesting, filled with story and emotion. The write up in Gallery & Studio is spectacular. One lonely teenage girl reads my novel, Boundaries, and realizes that her life is worth much more than she previously thought. A movie wins the Oscar for best adaptation from an original source (my novel). The producer holds his gold in the air and says, "And last but not least, I want to thank Penelope Przekop for writing such a honest and moving story." Tears, forged through years of dedication, roll down my face. There exists a Wiki page, a legacy, a body of creative work that ultimately relays something meaningful to the world. All this simply because those who know believe it's just that good. Have I ever once imagined millions of dollars in my bank account (fortune), or people begging for my autograph (fame)? No. My overarching dream has been to create something brutally honest, something people recognize themselves in and, in doing so, they see me. I become real. Perhaps this need to yank out what's inside me and make it tangible stems from my childhood. I grew up being overlooked in an odd way, groping through the shadows of a larger than life mother. There were no mirrors in that darkness. And besides that, I absolutely LOVE books, stories, pictures, paintings, color, interesting lines, etc. Using those tools, I want to create a reflection for others so that they can become mine. My favorite books are The Scarlett Letter and The Dying Animal, and I love art that probably wouldn't look right over the sofa. I'm not here to entertain the largest chunk of the bell curve. I never was. 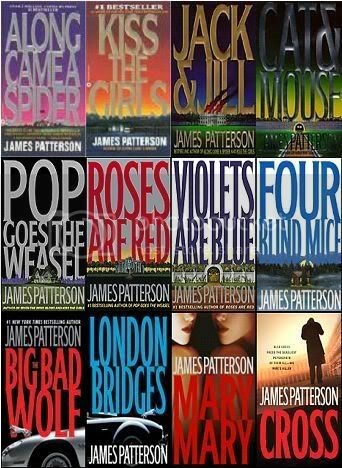 Besides, we've got James Patterson for that. Based on his nagging definition of success, Sebastien stepped away from the corporate gravy train to pursue his creative interests. He knew it was a gamble in terms of potential achievement. But ultimately, we're each alone with those definitions swimming in our heads, knowing we only have so much time. Perhaps in the end, feeling fulfilled in a more authentic way, and knowing you had the nerve to follow your guts makes the gamble worthwhile. That seems to be the case for Sebastien these days. Interesting that Cyril Connolly's most well-known book, Enemies of Promise, combined literary criticism with an autobiographical exploration of why he failed to become the successful author of fiction that he had aspired to be in his youth. Needless to say, he still got a Wiki page. I suddenly left the corporate world in 2002 after working for years as an export manager for high-end Parisian companies--to just paint. Three years later, I was having my first solo show in Paris. Two weeks after that, I was meeting Bob Hogge and Marina Hadley at the Monkdogz Urban Art Gallery in Chelsea. They gave me my first show in New York and hired me as an art consultant a few months later. This being said, I really don't feel I've gotten anywhere yet. There's still a long way to go, but I've always had a deep feeling that my adventure was going to be unusual. I quit my job the week after. Some of the most common fantasies are chasing up anything that's not directly linked to the creative process like fame or immediate gratification ... or when artists think it's enough to keep your work in your studio, whereas you really have to put it out there in the world. It definitely helped me to deal with some of life's craziness because being creative forces you to put things into different perspectives--a bit like a distorted vision of reality's insanity. On the other hand, I can't see how being creative would cause aberrations in life. On the contrary, it just makes you look at it through different glasses. I found very little support when I transitioned from the corporate life to a creative one; most people thought I was going nuts. My father told me I was going to become a bum ... how much confidence did he have in me? We act like mirrors to others, and I soon realized that my choice of a completely different lifestyle was awaking people's worse fears and insecurities. What about your retirement plan? But at the end of the day you just have to listen to your guts and surround yourself with positive people. I stopped listening a long time ago to nonconstructive critics, whether coming from those close by or from art dealers. I can question the quality, the pertinence, the technique of a creative work I have completed but not if it is, in its essence, a creative work. First of all success has a different meaning to us all. It is fame? Is it financial? Being recognized by your peers? Because I have a rich spiritual life, my own beliefs are that success will come if it’s meant to be, and also most likely if you let go of the idea itself. Be tenacious but be aware of the intentions you put behind it. I don’t believe you can be successful if you’re not doing it for reasons that are right for you. I am personally ready to see all my dreams come true. I guess all artists get asked that question. My first impulse has always been to say that I have no idea, that it is such a subconscious process that I have no control over it. However, I've revised that answer since trying to put more conscious meaning into my art, give it more depth, and communicate with subjects that are more intimate to me. Talent, a fair amount of neurosis, and tenacity. Create art that will make people feel good and believe that anything is possible. Learn more about Sebastien and his unique work on his site.